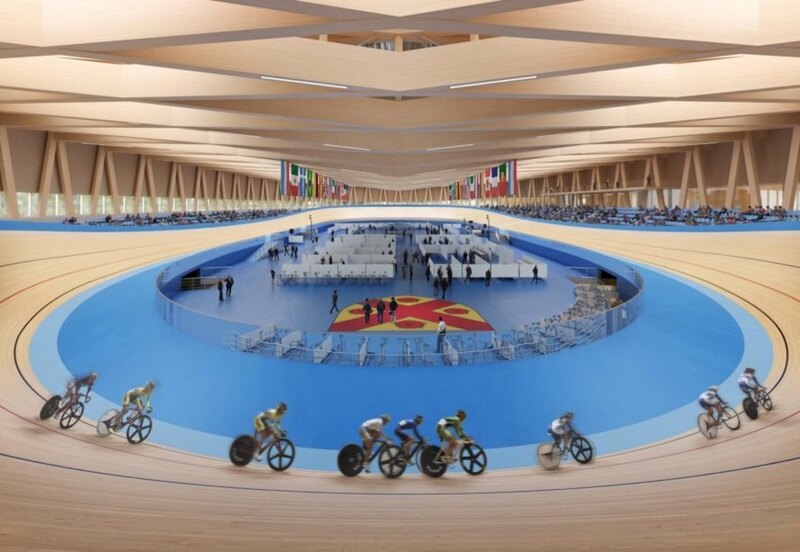 Dutch architecture firm Mecanoo and Luxembourg-based design practice Metaform Architects have placed first in an international design competition for the Mondorf-les-Bains Velodrome and Sports Complex in southeastern Luxembourg. 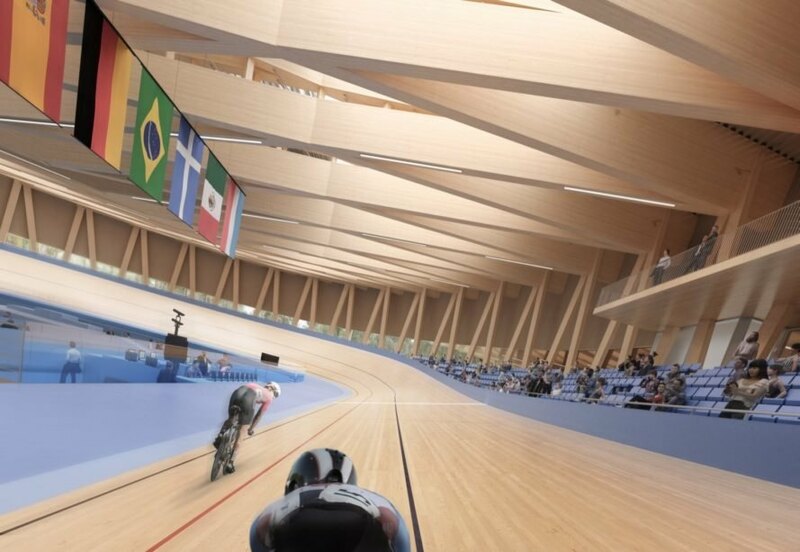 The winning design was created to look like a natural extension of the landscape thanks to its engineered timber structure and sprawling, sloped green roof onto which a rounded velodrome is placed. Sustainable and passive solar principles also guided the design of the 24,500-square-meter complex, which optimizes natural light and is powered with solar energy. 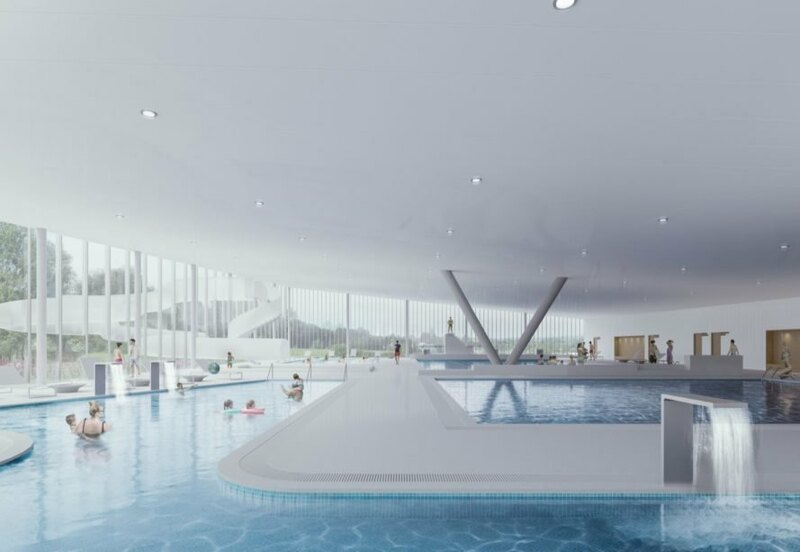 The Mondorf-les-Bains Velodrome and Sports Complex will be built among the rolling hills in the countryside of Luxembourg in a region known for its thermal baths. 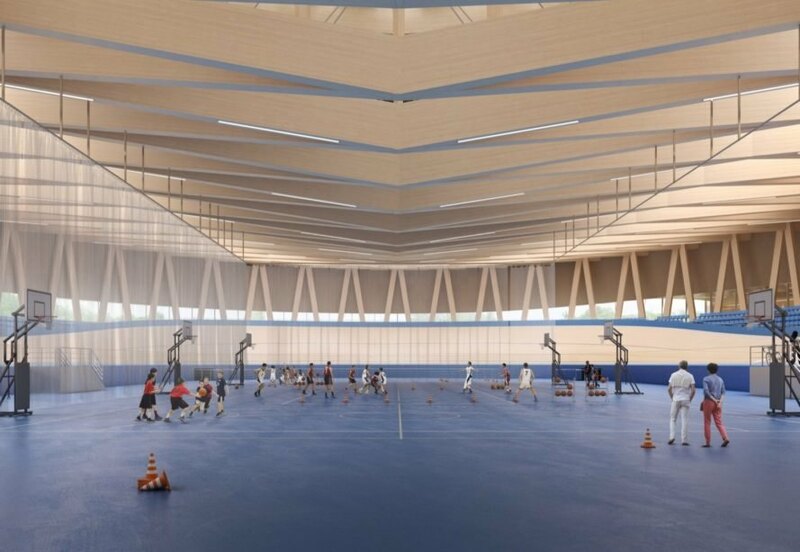 The 65 million-euro project will serve as a major sporting hub for the community and comprise a velodrome, aquatics center with indoor and outdoor facilities, two cafes, a multisports hall, a climbing wall and offices for the Luxembourgish Cycling Federation (FSCL). 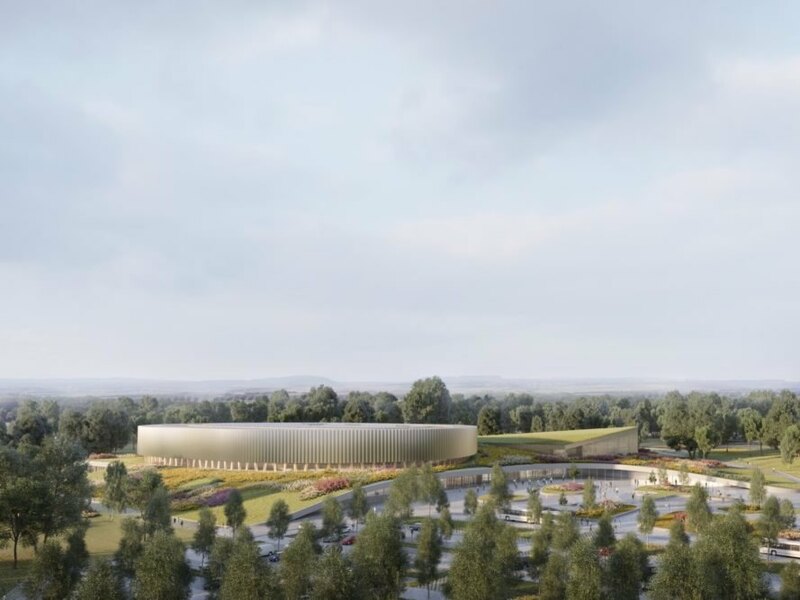 The pools and sports hall are designed to be embedded into the sloped landscape and topped with a green roof to visually reduce the size of the development and simultaneously draw attention to the elevated velodrome that will serve as a landmark structure visible from the neighboring highway. In addition to the massive green roof, wood and concrete finishes will be applied to further tie the building to the landscape. Strategically placed skylights and glazing will let in ample natural light while framing outdoor views. The dates for construction and completion have yet to be announced. 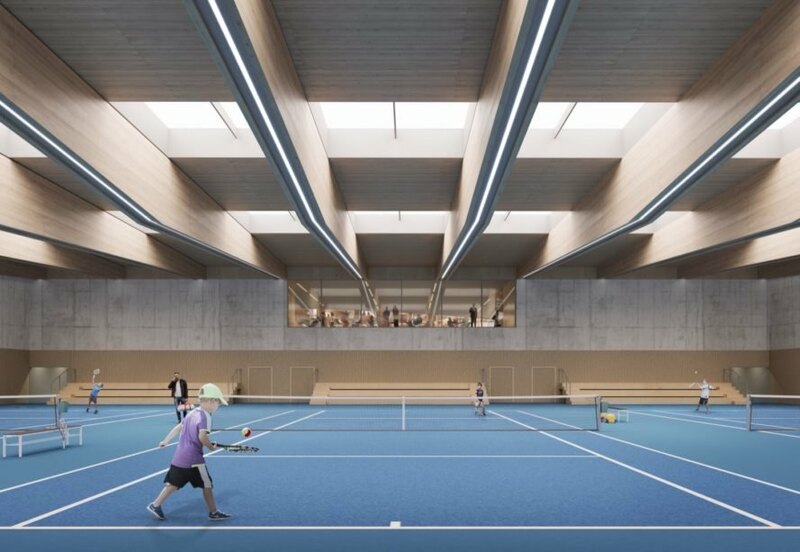 Mecanoo and Metaform Architects have unveiled winning designs of a new sports facility for Luxembourg. The structure is meant to blend into the landscape. The building will function as a center for cycling. The velodrome will serve as a landmark for the region. The sports complex will also comprise a multisports hall. The project offers indoor and outdoor facilities. A large swimming pool area is also housed in the building.